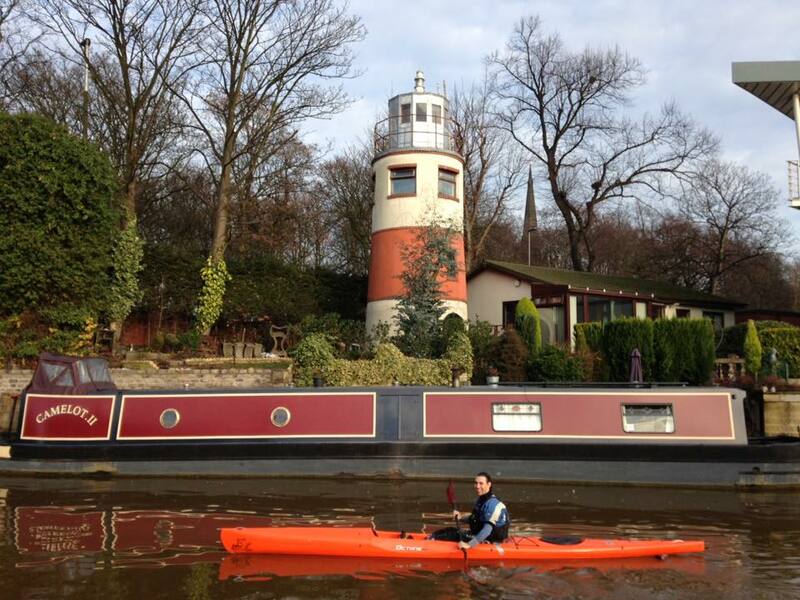 In 2015 Michael Harper and I paddled 120Km on the river Dee from Bala to Chester in one push, taking advantage of high water levels and (questionable) enthusiasm. It took over 11 hours, It broke me, it was hard, my hands had blisters and I said I’d probably never do it again. We also chose to do this on the most unlikely day of the year, the one with the shortest daylight. Fast forward to the 22nd of December 2016 and once again myself and Mike are gearing up at the start of another big challenge. To be clear…. this wasn’t my idea…. We had decided that the next stage of our “Big Day Out” challenges would be to attempt to paddle across Scotland, from Fort William to Inverness, once again in a single push. This trip would be over 90km long and featured several long portages around loch gates too. Once again following tradition we chose one of the days in the year where we had the least daylight. I have completed the trip 3 times previously but usually taking 3 days from start to finish! To keep us moving fast on this trip we chose to use the Pyranha Octane as we knew that it would be able to maintain a good speed but also deal with the harsh conditions we were expecting. With limited experience in surf skis we made sure we headed out for some training and some paddling in the dark to get used to our boats before the big day. We set off at about 6.15am after a little bit of boat set up and packing the kit that we would be taking with us. Getting straight onto the canal at Neptunes Staircase we had the wind behind us, but it was clear that it was going to be a cold day. As we started to chew up the miles on the first part of the canal we then moved onto Loch Lochy. I’ve always experienced challenging and varied conditions on Loch Lochy previously, being able to look behind me and see clear blue skies and sunshine and look in front of me and see a foreboding storm. 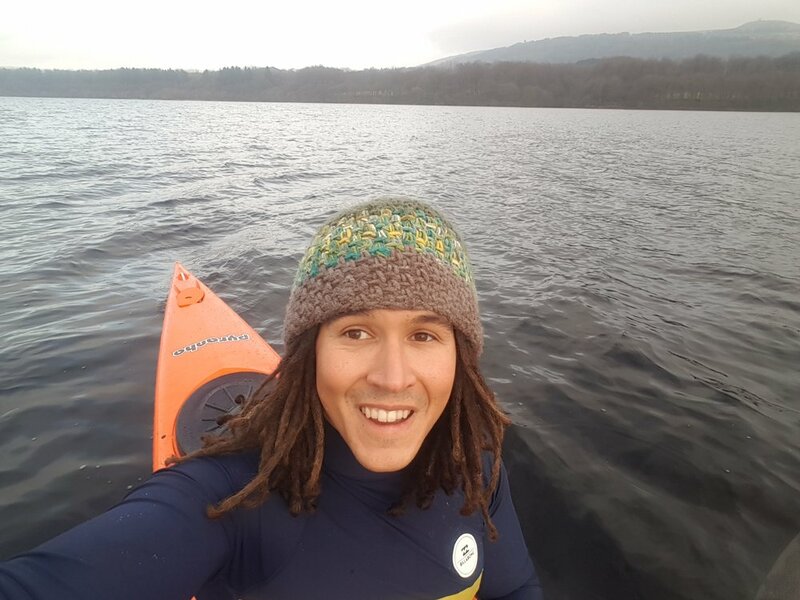 Once again Lochy came up with the goods, as the seemingly benign conditions allowed us to paddle into one of the more exposed areas of the Loch just as a storm came seemingly out of nowhere. The half hour where the storm hit focused us quite a lot, we were separated more than we would have liked to have been and it certainly felt like we were reminded that what we were attempting was not an easy task. We knuckled down and made it through the storm physically unscathed but mentally we had been pushed. After a few hours of improved conditions and with the wind still behind us we arrived at Fort Augustus which is virtually half way on the journey. Meeting up with our support crew (my Dad and his car) we quickly grabbed a well-earned bite to eat and put back on into the biggest Loch of the day, Loch Ness. Loch Ness is that big that your mind certainly begins to wander and it is no surprise that legend has it that a giant mythical creature lives in there, after spending a few hours on its dark water you can certainly believe it. As darkness fell once again, so did the temperatures and we began to get cold….worryingly cold. There was certainly a moment where we felt like we could have called it off but it is surprising what a couple of energy bars and gels can do for you when you need a boost. After a bit of food and with new found motivation to finish the task we carried on, with a drop in the wind once more it felt like we were flying again! After 15 hours we finally arrived at the end, beaten, exhausted and cold, the full day out had really taken its toll on us. We never set out to break any records or to be the first, but we did set out to have an adventure and we most certainly did!